It has come to my attention that Nini Theilade has taken her last bow and made her final exit. Born in 1915 to Danish parents on the Island of Java in the Dutch East Indies (now Indonesia), she passed away on February 13, four months shy of her 103rd birthday. Mlle. Nini’s film career wasn’t nearly as long as her life. A bit role as a dancer in The Big Bluff, a German picture of 1933, followed by another such bit in the Swedish The Song to Her in 1934. Her fourth and final credit was 40 years later, a small role on a Danish TV program in 1974. But in 1934, some time after her appearance in The Song to Her, she danced and acted the role of “Fairie, Attending Titania” in Max Reinhardt’s production of A Midsummer Night’s Dream at the Hollywood Bowl. And the following year, when Reinhardt insisted that she be signed to repeat her performance in Warner Bros.’ screen version of Midsummer, he made her immortal. It took nearly sixty years for the full measure of that immortality to be widely seen. Her role was almost entirely danced, and when the roadshow version was trimmed by 16 minutes for general release (where it didn’t earn a dime), she was left with little more than a brief scene with Mickey Rooney’s Puck (“Over hill, over dale,/Through bush, through brier…”). Even then, Rooney did most of the talking, and her voice was dubbed for all but eleven words. To add to that, the movie’s credits got her name wrong, calling her “Nina” instead of Nini. Nini Theilade’s film career may have been brief, but she was seldom idle. 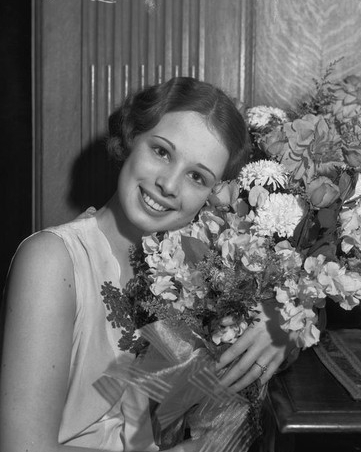 From the age of 14 she had been a ballet star in Europe, appearing with the Royal Theatre, Copenhagen and touring the Continent and the U.S. Later in the 1930s she was a prima ballerina with the Ballet Russe de Monte Carlo under Léonide Massine. She spent World War II in Brazil, where she married and had two children. 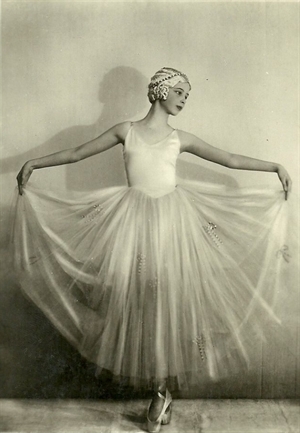 After the war, back in Copenhagen, she enjoyed a thriving career as a choreographer and instructor, eventually establishing the Académie de Ballet Nini Theilade in Lyon, France. She “retired” to Denmark in 1990, but continued to work as a dance instructor until she was 95. In A Midsummer Night’s Dream she is with us forever, always 19 and in the prime of her youth and talent. I saluted Nini Theilade, Mickey Rooney and Olivia de Havilland at the end of my 2010 post on Midsummer, when they were all still with us. I added an update on the passing of Mickey Rooney, and I’ve added another one now. But as with the Mick, I wanted to acknowledge Nini Theilade’s passing here as well, rather than let readers come across the news by happenstance, perhaps years from now. Ave atque vale, Mlle. Nini: Hail and farewell.